Cold Spring Harbor, NY– Think about all the things you are doing at this moment. As your eyes scan across the lines of this article, maybe your brain is processing the smell of coffee brewing down the hall and the sound of leaf blowers outside your window. Maybe you are tapping your foot and spinning a pen between your fingers. At any given moment, your brain is simultaneously processing a multitude of information from your senses while supporting a dizzying array of behaviors. Rats use multitasking neurons to navigate the complex demands of decision making. Each ellipse shows a two dimensional representation of the patterns that neuronal populations exhibit during decision formation. Here, dashed vs solid lines refer to trials in which the animal made a left vs a right decision, red vs blue lines depict auditory vs visual trials. How is all this information processed at once? The provisional answer, for decades, has centered on specialization. Biologists have assumed that neurons are specialized for specific behaviors, and that they fall into distinct classes based upon kind of signals they interpret. But findings in rats made by a team at Cold Spring Harbor Laboratory (CSHL) now call the universality of that concept into question. The team, led by CSHL Associate Professor Anne Churchland, has found a population of neurons in the rat cortex that process information in a way that supports multiple behaviors at once. The neurons they studied in this population, the scientists say, cannot be individually classified according to specialization. Churchland wondered if the same rules apply in other parts of the brain where complex processing tasks are taking place. Her team studied the posterior parietal cortex (PPC). This area of higher brain function has been has been associated with numerous behaviors, such as decision-making, value judgments, attention, and planning. Are there specialized groups of neurons in the PPC for each function? Or do individual neurons respond to multiple stimuli, in unique ways? To distinguish between the two possibilities, Churchland and her team exploited a research setup that has been used to study decision-making. “We trained rats to associate a rapid pulse of flashing light or sound with a particular door, and slower stimuli with another door.” The team then measured how individual neurons in the rat PPC respond to both light and sound, and correlated these with the decisions the animals ultimately made in each trial. 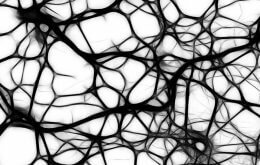 Churchland proposes that neurons such as these, which are able to multitask, may offer the brain a flexible way to combine responses. “This changes the way our team thinks about how neurons are used and work together,” she says. Based on these results, Churchland says, researchers may want to question the often used method of averaging the responses of different neurons to describe their collective behavior, under the assumption that anatomically distinct groups of neurons will respond to stimuli in the same way. More broadly, the research suggests a new way of thinking about how neurons behave. In this view, “it is no longer single neurons making sense of a behavior, but the whole group, integrating multiple signals,” says Churchland. The work has important implications as scientists try to understand cognition more broadly. “In order to have a coherent view of the world, we must be able to make sense of hundreds, maybe even thousand of inputs at once,” says Churchland. And that ability is something that often goes awry in mental disorders, like autism. This work was supported by US National Institutes of Health, the John Merck Fund, the McKnight Foundation, the Marie Robertson Memorial Fund of Cold Spring Harbor Laboratory, and a Swartz Foundation fellowship.